Keith Bain passed on on Wednesday, 4th of July, 2012. Keith Bain was modest and quietly, hugely influential in the formation of the Australian traditions in the performing arts. Keith, not alone, a much loved National Treasure that only those in the know knew how great he was. Keith Bain the Australian Artists' role model - without whom, many of us would have been a very different, and probably lesser human being. I can , definitely, say that about myself. I think I first met Keith Bain at Doris Fitton's classes for actors at the old Independent Theatre at North Sydney - It is still there, believe it or not! I was at the back of a large group of desperate youths, hoping for the opportunity to be an actor. In 1970 I began training at the National Institute of Dramatic Art (NIDA) in the Acting course. We had a movement teacher in first year called Margaret Barr (1904-1991). Ms Barr was a highly revered and excellent teacher, but her method was very intimidating. Those of us who toiled with her over our training flinch automatically into 'position' whenever we hear Carl Orff's CARMINA BURANA -" brush, brush forward, brush, brush back"! For Ms Barr we sweated and 'dreaded'. Climbing the wooden stairs to the Top Tote Studio was where one considered every possible excuse for not getting there. I always did get there and I always, strangely, loved how I felt coming down the stairs after each class. I felt wonderful despite my initial anxieties and I did develop, despite my proffered instrument for I moved on into the next year. Ms Barr was great. In Second Year we had a different movement teacher, an elegant, long torsoed gentleman called Keith Bain. Two different teaching methods one could not possibly find so diametrically opposed. Climbing the stairs to the Top Tote Studio for Mr Bain, I was not in search of excuses for not going but always in an excited anticipation of a good time. Mr Bain took us in hand and I sweated just as hard for him as I did for Ms Barr, and, hopefully, developed sufficiently well. But what I did for Ms Barr with an earnest will, lots of sweat and a 'dread' of failing I did for Mr Bain with a joyous expectation. My body used to ache as much for Mr Bain as it did for Ms Barr, but Keith used to do it with a twinkle in his eye and a lot of laughter. I remember being flat out on my back, on the old Top Tote floor, lifting my upper torso with outstretched hands, stretched in 'agony' up, up towards the smiling, encouraging face and open hearted enthusiast Mr Bain. I could not have worked harder on a recalcitrant body than I did for this remarkable and gifted man.Mr Bain was great and so much fun to work and be with. I know my body was not very flexible and I achieved what I did, to gain that smile of approval from Keith. I passed, I reckon, because I sweated for him. LOTS. Keith, also, was the choreographer for our shows. I remember being in The Old Tote Theatre (now the Fig Tree Theatre - remarkably, still there - kudos the University of NSW for caring for history) in the 1971winter, (41 years ago!!) in our black leotards, with fitted cup !, bare feet and naked upper body, with a black knotted rope dangling out the back of our tights as tails,(our costume!!) as we learnt a dance for the HALL OF THE MOUNTAIN KING sequence of PEER GYNT to the music by Grieg on a very steep raked floor. Hilarious, intense and joyous. We spun faster and faster to the climax of Grieg's score, whipping each other teasingly, with our flaring tails. I was never a good dancer (except Ballroom) but I was a good "mover". A lot of my work was, and still is entered from a physical entry point, and later in my professional career, both in the the theatre and television it was always with a sigh of relief to see it was Mr Bain who was to choreograph our work for us. He came to our rehearsal spaces and we were greatly relieved. He had an eye for detail and a way to make us all feel brave and confident no matter the complication of the dance style for that show. He also had enormous empathy for us who were shy and 'afraid' of our two left feet and wayward arms and hands. His presence was always a pacifying one for us non-dancers. Actors that could move , if not dance. We did it for him, and it felt just right and great to do. He got me my first professional job : backstage as a spotlight operator for an outdoor presentation of John Antill's CORROBOREE, somewhere out there in the Sutherland Shire in 1970 or '71. (maybe he knew something - clearly, I didn't pay attention to that. Just kidding , Keith). I graduated, worked in the industry, and then worked with Keith as a colleague, member of staff at NIDA. He was a great and patient mentor for me as I became his 'boss' for a little while. He became a mostly wise and watchful guardian to my endeavours as Head of the Acting Course (1984-1988) and then as an Acting Teacher (from the year dot, on and off, till 2011). He was on the scholarship panel for the NSW Ministry that encouraged me to study in the USA at the American Conservatory Theatre. (A huge turning point for me as an artist.) He always invited me to his Christmas Party - I went as often as I could. Lots of food (old style) and friends. Friends and friends. In later, recent years, after he had reluctantly retired from regular teaching, he still came to NIDA every Thursday to watch the young acting students do their movement pieces. A program of work he had introduced to the Acting Course and sustained by Julia Cotton and Anca Frankenhaeuser - two of his students and apostles. Even those recent students knew that a very special man had come to see them. His presence radiated out. He practised what he preached. "Radiate, radiate, radiate. Give, give, give." They hung on every word he offered. He was often moved to tears by the students' work. He even, still, used to teach 'the barn dance' to the whole school for the Orientation Bar-b-cue. We all rollicked with him. Keith was still the man I talked to most about the latest dance shows I, we, had seen in Sydney. He was just as keen eyed and just as gently but accurately, critically responsive to all that he saw. I always got a perspective from him that I had not necessarily seen. When he approved what I had thought, I glowed. I loved Keith for all this professional work and devotion. But one of my great and precious memories of Keith is his close and deep relationship with his dear Mother, Kath, who like Keith, lived for a long time. A country lady with the glow of expectant discovery always around her and a pride and joy in her boy, Keith. When I see lamingtons, I think of her. For all who never knew Keith Bain and his legacy, there is a book KEITH BAIN ON MOVEMENT, edited by Michael Campbell and published by Currency Press in 2010, that will enlighten you all, and, ought to be required text for any aspiring actor, movement artist, dancer, director. Keith grew up in Wauchope in Northern NSW where music and dance were part of his life from an early age. His first job at age 19 was teaching at a boy’s high school in Sydney. After about 8 years he gave up school teaching to train with Gertrud Bodenwieser a highly respected Modern Dance pioneer originally from Vienna. Bodenwieser was a very strong influence on Keith and he soon joined and became a valuable member of her Company continuing to perform for the company until she died in 1959. A solo piece for Keith was the last thing she choreographed. When Keith was first training with Bodenwieser he also trained as a ballroom teacher and became an instructor for the Arthur Murray Studio. He soon became dance director, staff trainer and teacher of advanced students. In 1959 he started teaching for Doris Fitton at The Independent Theatre, his first experience with actors and ‘movement’ as opposed to dance. He also choreographed and performed for television in the 60s when live shows were very popular. Wanting to keep the Bodenwieser style and philosophy alive Keith, along with another company member, Margaret Chapple, continued to teach for the Bodenwieser Studio. They also introduced new dance styles and the Bodenwieser Studio became the most popular studio in Sydney – Keith’s classes were packed and soon other teachers from international companies were giving classes there too. Meanwhile Keith continued teaching Ballroom and Latin American and also competing, becoming Exhibition Champion in the early sixties. He was a highly impressive performer but he also confounded the judges with his distinctive dance style. This later became the subject of the highly successful feature film "Strictly Ballroom" by Baz Lurrhman. He worked with singers and actors on many musicals and plays amongst them "Jesus Christ Superstar", Reg Livermore’s one man shows and the Operas of Gilbert and Sullivan with Dennis Olsen. In 1965 he was invited to teach at NIDA. At this time the focus was on developing new Australian plays, presented at the Jane Street and Nimrod Theatres. 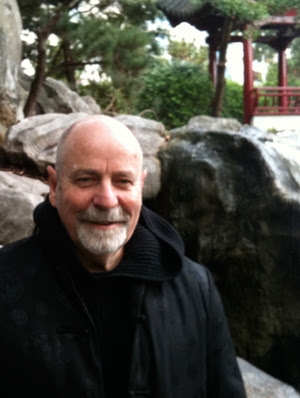 Keith worked on many productions and with many collaborators – "The Legend of King O’Malley" and "Biggles" both directed by John Bell for instance. Keith not only taught for the NIDA Acting program from 1965 to 2005 Keith (given a full time position by visionary,John Clark) he also established under the auspices of Tony Knight, then Head of the Acting Course,The Movement Studies postgraduate course in 1991 and, together with Avigail Herman, set up the part-time Music Theatre Course run by NIDA's Open Program. 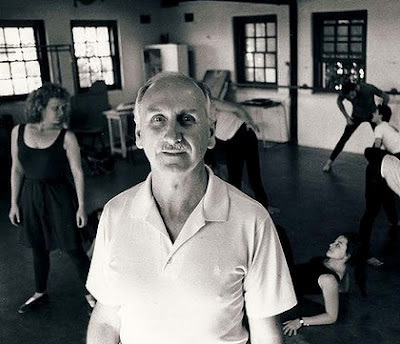 Keith was instrumental in encouraging new choreographic talent in the dance world through his work with Ballet Australia and also, with Dame Peggy Van Praagh setting up summer schools in Armidale. He helped establish committees and organisations - the original Australia Council, the International Theatre Institute, Ausdance among others. He travelled overseas as a delegate for the ITI and was also a judge on international dance competitions. He established the Dancers Picnic which later became the Australian Dance Awards. Over the years Keith contributed such an enormous amount to the performing arts that he received a number of prestigious awards himself – awards for services to Theatre – Queen Elizabeth Jubilee medal, Awards for services to dance education and a lifetime Achievement Award from the Australian Dance Awards, he was also the recipient of an Australian Artists Creative Fellowship Award and the Order of Australia Medal. Thank you Keith for your support over the years .. Was an honor knowing you .. Thanks Kevin for this tribute, so rich in affection and respect for an unforgettable teacher and colleague.